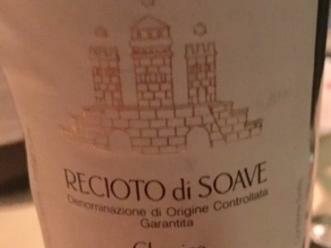 Pieropan makes some amazing Soave wine from the Garganega grape. This one is dry and works quite well at the table. Light golden in color. The nose has slight under ripe peach, some honey and a bit of spice. On the palate, this is dry. Crisp acidity. Peaches and honey carry thru but more about the minerality. Nice texture. Drank over two days without any change. Has a decade left easy. Deep golden in color, starting to show some oxidation. The nose also shows it but still there is some honey quality. On the palate, this is slightly sweet. Past prime but still with some life to give. Honey and slight peach fruits. A bit of acidity. A nice finish to a meal.